Home Asia China Family Florida Singapore Tampa USA Videos Tampa Bay Chinese School - A Hidden Cultural Gem! Tampa Bay Chinese School - A Hidden Cultural Gem! At first, we were very worried about the boys' 'mother tongue' in the USA... of course they will remain multi-lingual, speaking three languages regularly in our home environment, but the variety of Chinese stimuli is somewhat limited in their day to day activities. 'Mother Tongue' is a Singaporean local school curriculum component. With the integration of so many cultures and ethnic backgrounds, it's crucial that languages (other than English) form part of each child's rounded education. English is the first language in Singapore (although Malay is the 'official' language). When you enroll a child into the education system, you will also specify a 'Mother Tongue' - It could be Chinese Mandarin, Malay or Tamil. 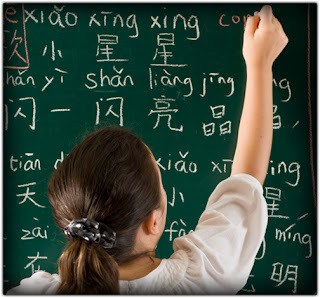 Obviously, there is no such program in the US public school curriculum... so when we were house hunting in Tampa Bay last year, Sammi and I launched an all out effort to locate the best Chinese language school in the area. We checked out a few, but landed with the 'Tampa Bay Chinese School'. Both of the boys are very advanced for their ages (Casey's oral Mandarin, Jaime both written and oral), so they are 'batting above their average' - they are both in classes with kids much bigger and older. Classes are conducted at the University of South Florida on Sundays and the current school year has just wrapped up now for the summer break. Yesterday saw the official break up, concert and awards ceremony. Jaime finished the term with a solid 92% overall result (not bad considering he didn't start until half way through the year and the other kids in his class are at least a few years older than he is). Casey entered the 2015 'Chinese Writing Competition' a few weeks ago and yesterday was awarded Second Place among all of the other children - also a bloody mighty effort, if you ask me!! So to anyone out there looking for a top notch Chinese language and culture school, look no further than the Tampa Bay Chinese School... and very importantly, you do not need to be Chinese to learn the language - there are people from all backgrounds and age groups in the classes (including Caucasians). I guarantee, based on our research and now our experience, you will not find a better local option. 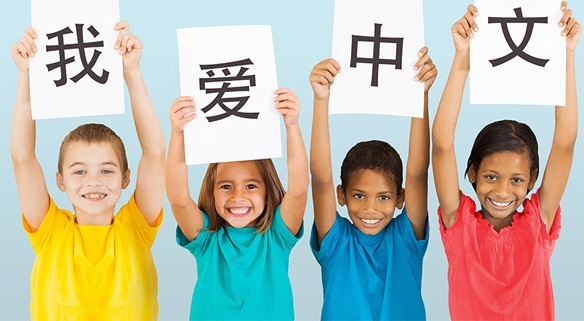 The Mission of Tampa Bay Chinese School is to provide educational services in addition to striving for cultural exchanges between the Chinese community and other ethnic groups, while preserving the essence of Chinese culture overseas, in order to create a better future for our own. Established in 1997, TBCS (the previous USF Chinese School ) has grown to a size of 22 different classes today, with total number of over 250 students aging from 3 to 16. All textbooks used in school are written and published by the Office of Oversea Chinese in Mainland China. There are 14 teachers in the school; all of them have years of experience in teaching Chinese. A variety of indoor and outdoor activities organized in the school makes Chinese study more interesting and effective. We welcome more local Chinese families as well as Americian families who are interested in learning Chinese to join in our school. We are looking forward to working with other local Chinese communities in Tampa Bay area. Malay is not the official language of SG. Its just called "national language" and it is purely symbolic because SG split up from Malays due to race issues with the Malays. Overwhelming majority of people from Singapore do not understand malay. Thanks for this post. My family and I are moving to South Florida next month after 16 years in Hong Kong. I've been worried about continuing on with our little one's Chinese education. We'll be over on the east coast initially, but it's good to know that such a program exists in Tampa, as we may end up there later.